Laser rangefinders are one of the best ways to accurately determine distances to the target out on the golf course. In fact, these days, it seems like all golfers have one of two pieces of technology in their bag – either a laser rangefinder, or a GPS unit. Each of these options is able to accurately measure distance, so the choice is up to you with regard to which is going to make its way into your collection of golf gear. In this article, we are going to cover laser rangefinders. More specifically, we are going to cover laser rangefinders with the capability to measure slope. Rangefinders that can measure slope are able to automatically adjust the distance to the target for you, based on the slope of the ground. So, if you are facing an uphill shot, the rangefinder will calculate how far uphill you are playing, and distance will be added to the ‘raw’ number in order to give you a yardage that should lead to an accurate club selection. For example, if you have 100 yards to the hole, but are playing well uphill, the rangefinder might tell you that you need to hit the ball 115 yards. 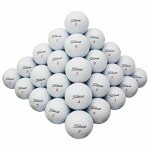 You can pick your club accordingly, and hopefully the ball will wind up right next to the cup. Obviously, if you are playing downhill, the rangefinder will subtract distance as needed to leave you with an appropriate number. To Slope or Not to Slope? There are pros and cons to picking out a rangefinder with a slope function. On the positive side, owning this kind of device is like having a real caddie right there at your side. It is easy to get a raw distance number, but calculating slope and adjusting the yardage accordingly is a more challenging task. If your rangefinder can do the math on your behalf, all you need to do is read the distance and make a great swing. On the downside, most golf competitions do not allow the use of a rangefinder with a slope function. At the very least, you likely won’t be allowed to have the slope function in operation while you play in a tournament. Or, in stricter events, you won’t even be allowed to use the unit at all, even if slope adjustments have been turned off. So, if you are a golfer who likes to play in a number of competitions throughout the year, you may be better served with a rangefinder that does not include slope capability. At this point in the article, we are going to take a look at some of the top laser rangefinders on the market which include slope adjustments. If you have decided to go ahead with a slope-enabled model, those listed below are some of your best options. 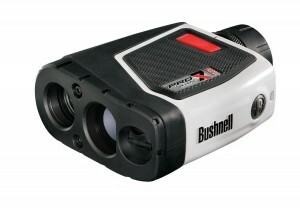 We start off our list with a model from one of the top names in the rangefinder business – Bushnell. 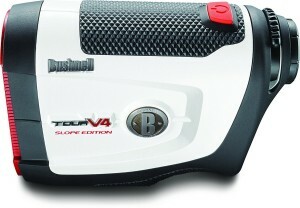 The Tour V4 Slope Rangefinder is among their best models, with a price tag that usually comes in right around $300. One of the great features of this model, and many others in the Bushnell line – is the ‘Pinseeker’ technology. When the laser catches onto the flag, this system will quickly vibrate the unit, telling you that you have found the target successfully. Also, you can use this unit to measure up to 1,000 yards, and the viewfinder features 5x magnification. 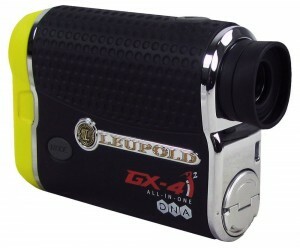 Simply put, this is among the top rangefinders on the market today. 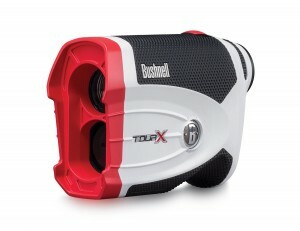 Another option from Bushnell, this is the Tour X Jolt Golf Laser Rangefinder. This model has many of the same features and capabilities as the previous option on our list, only it goes even a little bit further. Instead of 1,000 yards, this unit is capable of measuring up to 1,300 yards. Also, it has 6x magnification in the viewfinder, rather than 5x. If you are looking for a rangefinder that can be considered the best of the best, the Tour X Jolt is an easy pick. Accurate to within +/- .5 yds. Going in a different direction, we find another trusted brand name – Nikon. While you might think of Nikon first with regard to cameras rather than golf equipment, they have proven their ability to produce a quality rangefinder. 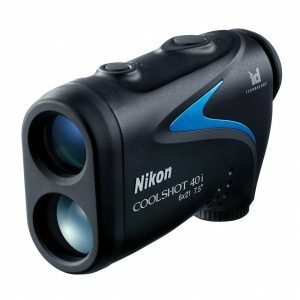 This model, the COOLSHOT 40i, takes readings in approximately half a second, which is quick for this type of unit. It can read distances up to 650 yards, it is adept at picking out the right target, and it can adjust properly for slope to help you pick the right club. Even with all those great functions, this Nikon usually sells for less than the Bushnell models listed above. The name Leupold might not be familiar to you, but this rangefinder option is still worth your consideration. 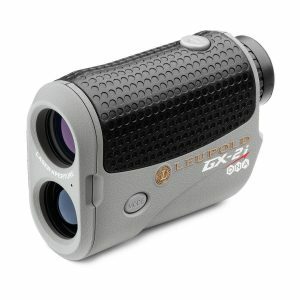 The Gx-2I2 is an advanced rangefinder which is able to deliver accurate and quick measurements to the user. This rangefinder is waterproof so it can be used safely on a rainy day, and it can pick up distances as far as 800 yards out (300 to the pin). When only the best rangefinder on the market is going to do for your needs, the Bushnell Pro X7 Jolt Slope Rangefinder is the model you are going to want to turn to. Yes, this is an expensive item – it usually retails for $500 – but it has the features to back up that sticker shock. Incredibly, this rangefinder can measure distances all the way out to one mile, making it useful for applications other than golf. It can lock on to the flag from up to 550 yards away, which is handy for when you are thinking about driving the green – on a par five or trying to track down the beverage cart girl. The viewfinder offers 7x magnification, the product is fully waterproof, and there is a limited 2-year warranty. To wrap our list, we have another option from Leupold. This model is nearly as expensive as the Bushnell X7 above, and it has nearly as many features as well. It ranges up to 700 yards, it has technology to help you find the pin with ease, and there is a one-touch scan mode as well. 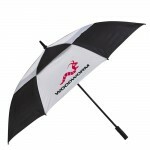 Notably, this model also includes a club selector system which will recommend the right club for each shot. If you want a top of the line rangefinder, and have decided against the Bushnell, the Leupold GX-4iA2 makes for a great choice. Distances to 1/10th of a yd.